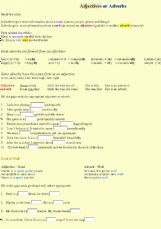 Brief explanation of the verb to be and some exercises. 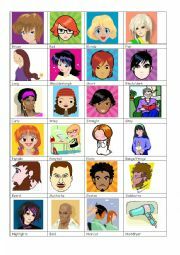 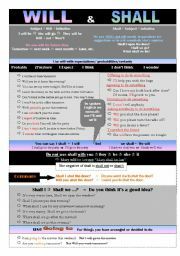 It´s a colorful guide for the simple present grammar on how to build affirmative + negative and interrogative sentences + short answers. 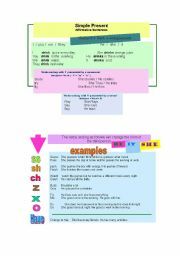 It´s helpful for students to remember the exceptions of the third person and the use of the auxiliar verb "do" I hope it´s helpful for you. 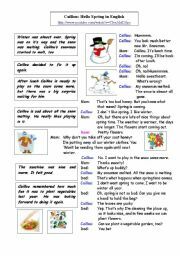 Exercises on adjectives and adverbs, how to form adverbs from adjectives and when to use good and well. 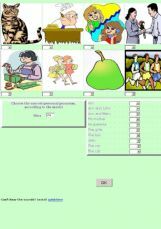 Exercises for begginers to point out the correct personal pronoum.